Hey there everyone! So last Music Monday was missed? Forgive me, I have been extremely unwell yesterday. Did you use Windows 8 and was sick of downloading the past windows features to get things running? Here's one thing that's gonna come in handy - Offline installation of .NET Framework 3.5 Family. I know it is an old thing since Windows 8.1 is already out, and this thing is available at numerous forums and websites, even at Microsoft's own Knowledge Base, but I just came across it a couple of months ago so thought to post it.
! !Windows 8 does not include .NET 3.5 (include .NET 2.0 and 3.0) by default!! If the user is upgrading from Windows 7 to Windows 8, .NET Framework 3.5 is fully enabled. The user can make sure this feature is enabled by check in Program and Features. The User can enable this feature by click on .NET Framework 3.5 (include .NET 2.0 and 3.0) select it and click OK. After this step, it will download the entire package from internet and install the .NET Framework 3.5 feature. But if the user does not have an internet connection, this steps can not be applied. Step 1: Go to Settings. Choose Control Panel then choose Programs. 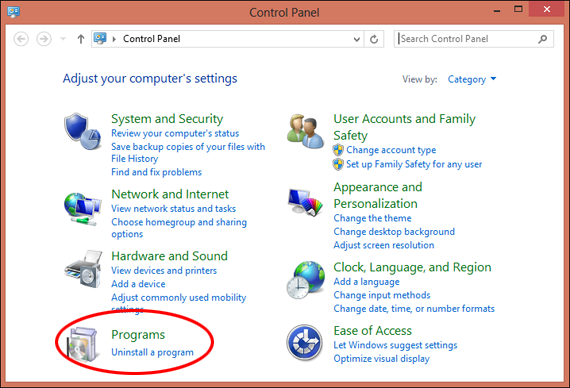 Step 2: Click Turn Windows features on or off, and the user will see window as image below. Enough chit-chat about the online enabling, let's get to real deal, the offline method. You wish to know the requirements? Want to see the answer as nothing? Oh well, that's not the case. Step 2: Open CMD.EXE with Administrative Privileges. If you don't know how to do that, well! I need to help you with too now. Go to C:\Windows\System32. Right click on cmd, and click Run as Administrator. I really hope you are administrator, if not, well forget about this. Now wait until the process is finished.. 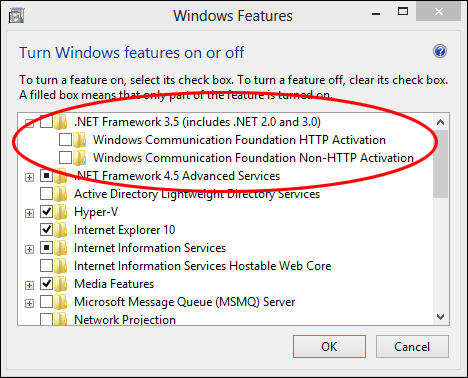 Step 4: After completing the installation of .NET Framework 3.5 you can see that the feature is enabled. Another vital a part of .Net Framework is that everything together with internet controls, Web forms, and server-side blocks of code area unit compiled once a page is requested for compilation. easy preparation refers to the thought that parts in .Net Framework are often compiled on your machine and so uploaded with all the pages within the /bin directory. not like a web-application in ASP, wherever pages got to be uploaded and therefore the parts of the pages got to be registered with the package, the parts in an exceedingly web-application in .Net Framework needn't be registered.if you want to install or want to know more on Microsoft .NET Framework Offline Installer then please visit our website.